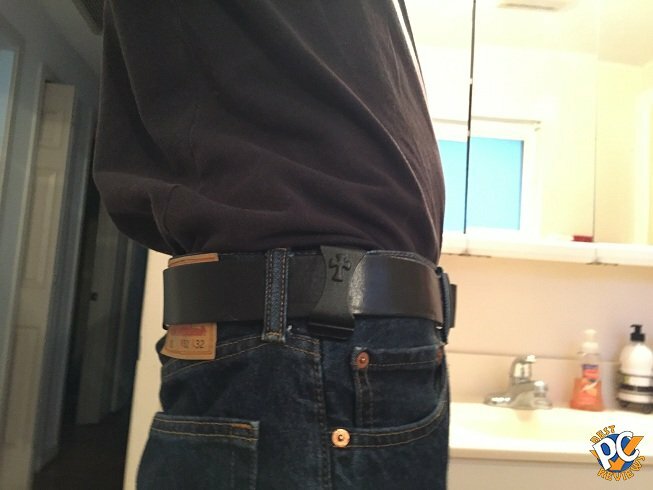 Before I saw and heard of CrossBreed concealed holsters, I gave up on IWB (Inside Waist Band) holsters for a simple reason. All IWB holsters I tried before were uncomfortable. I had to carry my firearm in a small OWB (Outside Waist Band) holster, but had to wear an extra-long shirt. Then I saw CrossBreed. I heard before that their holsters are very comfortable. 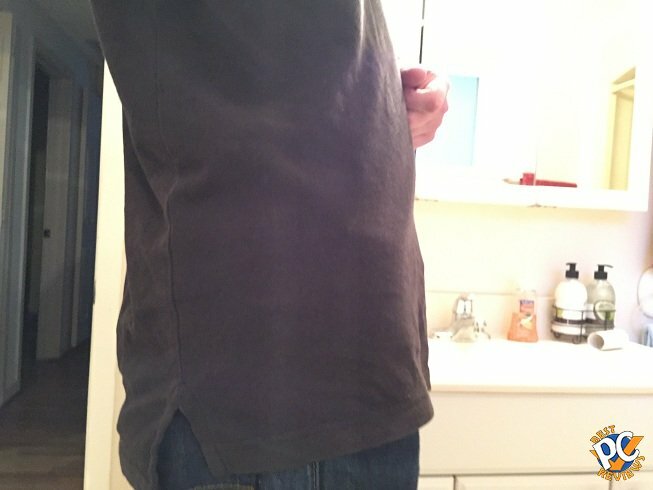 Supertuck Deluxe even lets you tuck in your shirt. 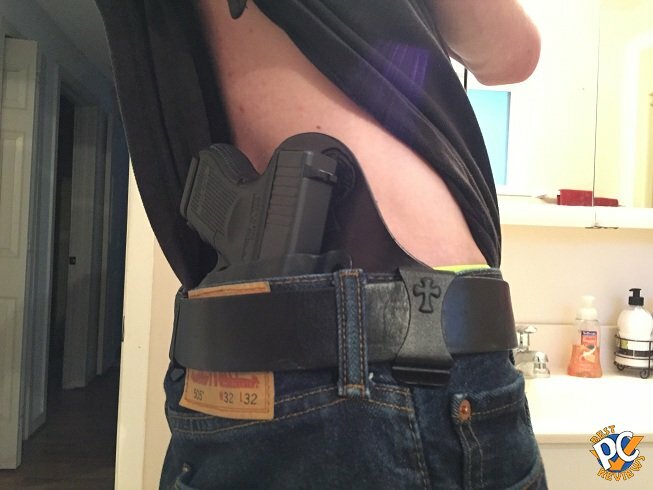 Therefore, you can carry a firearm inside the waist even with a shirt tacked in! It sounds good, but I was a bit skeptical. The holster itself is huge and ugly, but I decided to try it. Now, usually when I am doing reviews here, I try to bring good points and bad points. 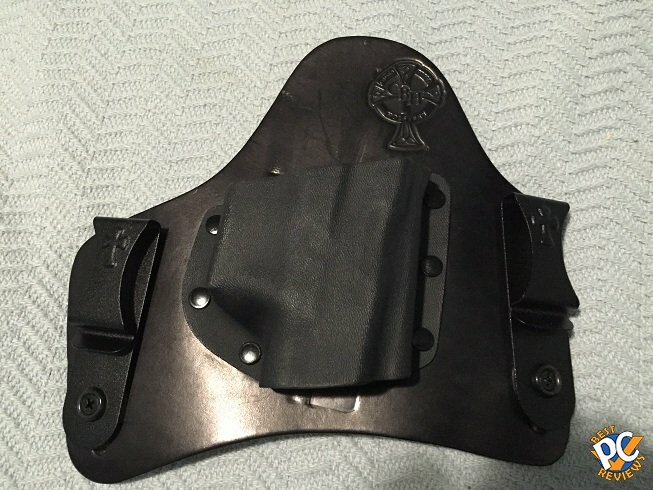 I thought for a while, but I really cannot make any bad or negative points on the holster. I'll first start with arrival. 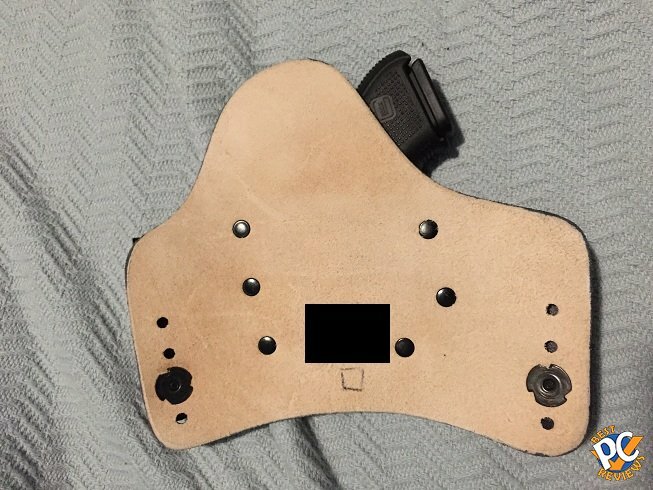 When I placed an order, I received an email that my holster will be custom made and it will take about a week, which I have no issues with at all. By the way, CrossBreed company makes the holsters in USA. It appears to be family owned business with a Christian foundation (CrossBreed references the Lord Jesus Christ and His sacrifice on the cross that was made for all mankind, according to the creator Mark Craighead). 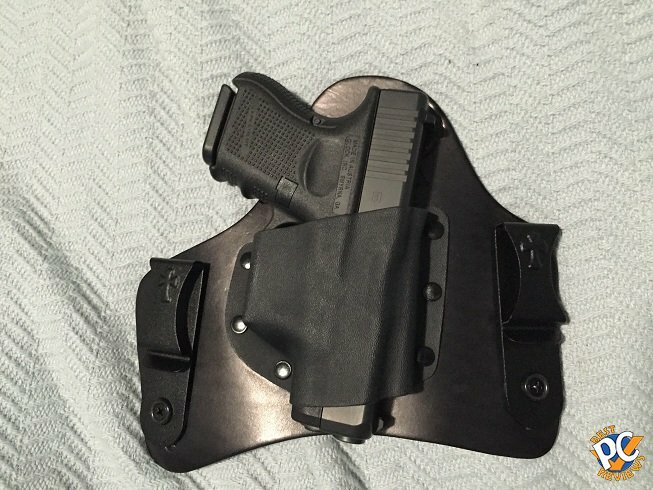 I received my holster in about a week after placing the order. 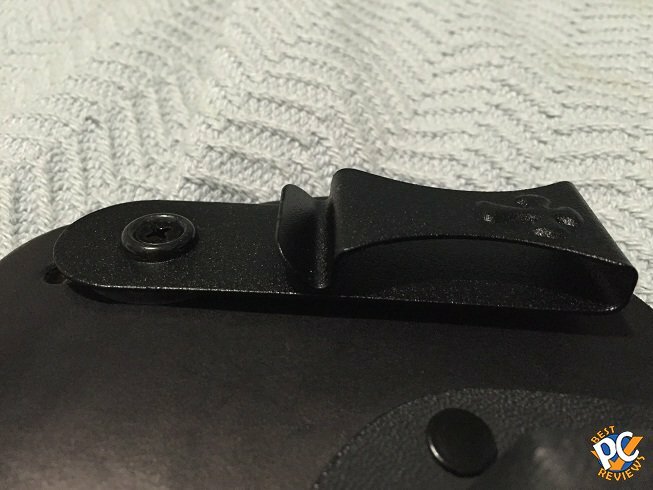 With the holster, I received a page with general instructions and guidelines. The holster comes with lifetime warranty and can be return within 2 weeks. If you want your weapon to be more or less secure in the holster, you can adjust it by heating up the trigger guard. 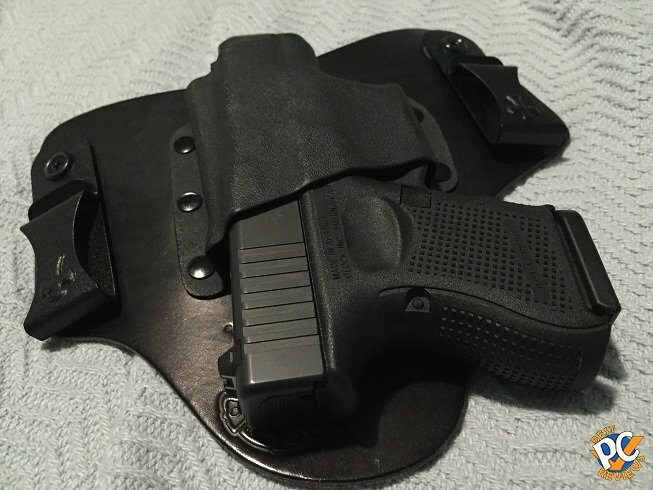 Instructions are included with the package, YouTube video is available, and you can also send the holster back for a free readjustment. I readjusted mine with a heat gun. Now, this holster is the most comfortable holster I ever wore. I had it on for hours, when I came back home, I kept it one for three more hours and it did not bother me at all. It's up to you to decide where exactly you want to carry your holster. 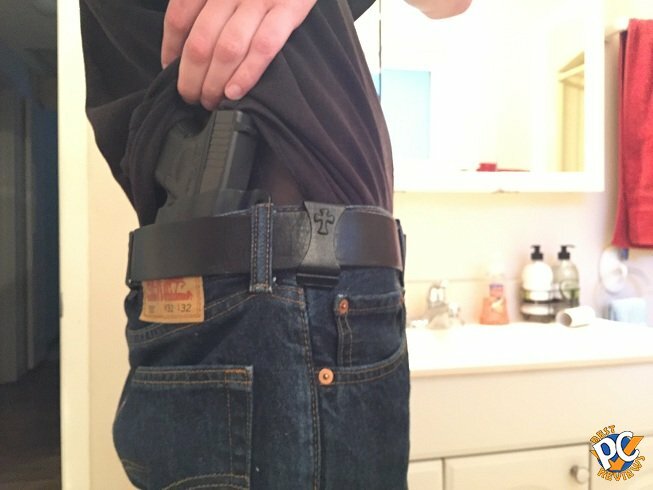 I carry mine at 3 to 5 o'clock position, but I've seen people carry the holster more towards the front as well. You can also adjust an angle of the trigger guard by securing screws to another location. CrossBreed SuperTuck Deluxe goes for $70. It is made of real leather and there are total 3 choices of leather. I went with a default Hand Dyed Cowhide Black, but there are two more options for humid environments. Once is for $10 more and another one is for $15. I do not have any experience with either one of them, but if you live in humid climate, better leather might work better for you. There is also combat cut over standard cut you can choose. I went with a standard cut because it makes carrying more comfortable. You can also get a pair of V-clips, which are good for deep concealment. Price is good for what you are getting. I believe there is also small military and law enforcement discounts available. As I mentioned earlier, I did not find any negative points on the holster. This is definitely the best IWB holster available! By the way, just to see how well they are, look at the reviews on amazon and other web sites. I do not see so many perfect scores that often. If you have any questions, feel free to post them below.